Professor Scott E. Fraser has a long-standing commitment to quantitative biology, applying the tools of chemistry, engineering, and physics to problems in biology and medicine. His personal research centers on imaging and molecular analyses of intact biological systems, with an emphasis on early development, organogenesis, and medical diagnostics. The work of Dr. Fraser’s laboratory has resulted in a set of publications (over two hundred) and patents (more than five dozen), spanning fields as diverse as synthetic chemistry and nanotechnology to developmental biology and novel microscopy. 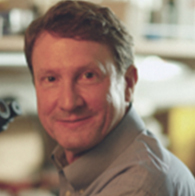 Dr. Fraser has helped found interdisciplinary centers including the Translational Imaging Center, the Kavli Nanoscience Institute and the Caltech Brain Imaging Center. Dr. Fraser’s experience in interdisciplinary work has resulted in collaboration between diverse groups of researchers. After training in physics (BS, Harvey Mudd College, 1976) and biophysics (PhD, Johns Hopkins University, 1979), Dr. Fraser joined the faculty at UC Irvine, and rose through the ranks to become Chair of the Department of Physiology and Biophysics. In 1990 he moved to Caltech to serve as the Anna L. Rosen Professor of Biology, and the Director of the Biological Imaging Center. He is deeply committed to interdisciplinary training and translational research, having helped found the Caltech Brain Imaging Center and the Kavli Institute of Nanoscience, as well as serving as the Director of the Rosen Center for Biological Engineering. In Fall 2012, he moved to USC to take a Provost Professorship in the Dornsife College of Letters Arts and Sciences, the Children’s Hospital Los Angeles, Keck School of Medicine and the Viterbi School of Engineering. He remains active in interdisciplinary research and serves as the Director of Science Initiatives for the USC campuses.